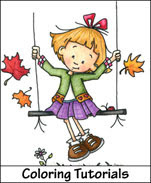 Sassy Cheryl's Digi Stamps Challenge Blog: Challenge #89 - Emboss It! Challenge #89 - Emboss It! Hi sassy friends... Are you having a terrific and sassy week so far? It's been busy here with the Sassy gals. We've got lots of news to share with you this week. Beginning today, and for the remainder of November's challenges (15th, 22nd and 29th), we'll be checking out all of our entries and selecting one lucky person who will be our guest designer for the month of December. So sharpen your pencils, dust off your supplies, line up your copic markers, and come and join us. 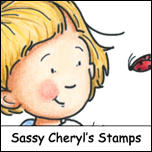 Also, Sassy Cheryl now has a company spot at Splitcoast Stampers. So when you upload your lovely Sassy Cheryl creations to your Splitcoast gallery, just use the key word Sassy Cheryl. It's as easy as that! That lucky person is Holly! Congratulations, Holly... all you have to do to claim your prize is email Sassy Cheryl and she will get you all fixed up. Happy shopping! We look forward to seeing your new creations. Sassy Peggy gets to hostess this week and her challenge theme is 'embossing'... any type of embossing that you would like. Here's what Sassy Peggy and the Sassy Gals have created for this week's challenge. Looks like fun, right? There's lots of inspiration here. Don't forget that we would love for you to use a Sassy Cheryl digi, but that rule changed and it's no longer necessary to do so. 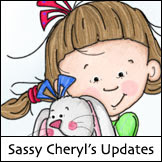 If you do use a Sassy Cheryl digi, then you get two entries into our random drawing. You have until next Monday evening 6:00 EST to enter and we'll be by to see your creations. Have a sassy week, sassy friends! WOW! I agree with Karen! TOTALLY AWESOME! Congrats Holly! Just drop me an email and I'll get your $5 Gift Certificate credited to your account. I am in agreement with Karen and Cheryl, with a triple WOW! here. These are awesome and yea on an embossing challenge. Such a fantastic range of cards!!! Thank you so much, Cheryl! I've emailed you! I can't wait to pick some digis!!!! And this week's challenge looks like SO MUCH fun!!! I can't wait to get to work!!!! Thanks for the FABULOUS creations from the DT girls! Such gorgeous work to inspire us!!!! You go girls. You all always give us some great inspiration. You didn't disappoint me again this week. Guest Design Spot, whoo hoo! Amazing inspiration sassy sistas. Love seeing what you are all up too... yep I am keeping an eye on you all!!! Great cards, Ladies! I'm tickled to be participating in your challenge! Thanks ladies. 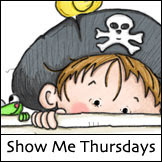 . . .for participating in the Sassy Cheryl's EMBOSS it challenge this week. All such beautiful entries! Good luck in the drawing. Hope to see you in the challenge next week. It's going to be another good one!!! Challenge #88 - Just saying "Thanks"